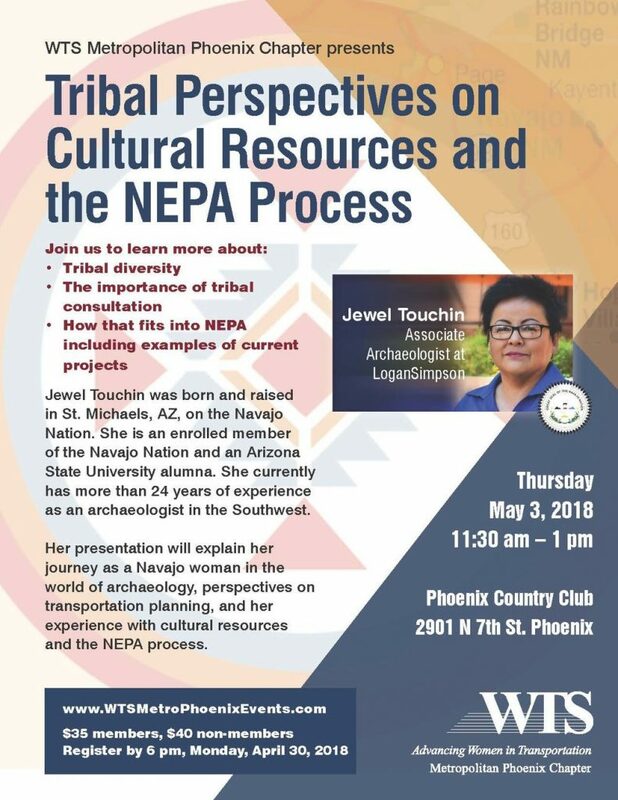 On May 3rd, come hear Jewel Touchin, a Logan Simpson archaeologist and ethnographer, discuss her journey as a Navajo woman in the world of archaeology, perspectives on transportation planning, and her experience with cultural resources and the NEPA process. About the Speaker: Jewel was born and raised in St. Michaels, AZ, on the Navajo Nation. She is an enrolled member of the Navajo Nation and an Arizona State University alumna. She has more than 24 years of experience as an archaeologist in the Southwest. Projects that involve ground-disturbing activities oftentimes go to great lengths to avoid adversely affecting historic properties that are significant cultural resources such as buildings, structures, and even sites protected by Section 106. Some activities result in very obvious effects; others not so much. Thorough evaluation during the pre-construction planning process identifies most effects and makes recommendations to avoid, minimize, or mitigate adverse effects. Occasionally, some effects fly under the pre-construction planning radar. Construction vibrations are phenomena that are sometimes overlooked, yet these unseen products of blasting, demolition, pile driving, and compaction can travel well beyond a construction right-of-way and cause cosmetic and, in severe cases, structural damage to significant cultural resources. Discovering their effects after a project is underway can have costly consequences. Certain project elements may be delayed while a vibration monitoring plan is prepared. Disgruntled property owners may file damage claims. Project proponents may receive bad press. Time, money, and project supporters’ good will are potentially wasted. 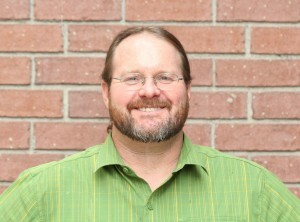 Alliance and Landscape on Perry Mesa in the Fourteenth Century is the first major publication about the archaeology of Perry Mesa and contains contributions by Logan Simpson archaeologists Christopher Watkins, left, and Tina Hart. The book, published by the University of Utah Press, examines the population aggregation on Perry Mesa, a landscape that was largely vacant prior to the late A.D. 1200s. From the late 1200s to the early 1400s, thousands of people occupied large pueblos that were equally spaced along the mesa rim. Alliance and Landscape on Perry Mesa in the Fourteenth Century utilizes two explanatory frameworks, alliance and landscape, to explore why people migrated to Perry Mesa. The alliance model posits that groups on Perry Mesa allied with other nearby groups to form what is known as the Verde Confederacy against the Phoenix Basin Hohokam to the south. The landscape model suggests that the changing environmental conditions in the late 1200s made Perry Mesa more attractive for migrating farmers. The archaeological record reveals evidence in support of both models, and in Alliance and Landscape on Perry Mesa in the Fourteenth Century, researchers present and evaluate this evidence to better understand an important but little studied region in central Arizona. In Chapter 6, Watkins and Arizona State Parks Archaeologist Sophia Kelly investigate the organization of production and exchange of plain ware ceramics within the proposed Verde Confederacy. With the aid of ceramic provenance data, they assess the extent to which plain ware ceramics moved between late prehistoric pueblos on Perry Mesa and between members of the larger confederacy. Two interaction spheres of socially proximate people were identified on Perry Mesa and the Upper Verde River as indicated by large quantities of internally exchanged plain ware vessels. This result does not preclude the existence of a higher-order confederation as low-value objects such as cooking pots were not necessarily exchanged at more distant social scales. In Chapter 5, Demarcation of the Landscape: Rock Art Evidence for Alliance, Conflict, and Subsistence at Perry Mesa, Hart and others examine variation among the relative frequencies of rock art motifs, such as geometric and zoomorphic designs, across six sites on Perry Mesa. Rock art at these six sites is also compared to rock art sites in the surrounding region in an effort to find stylistic and thematic similarities that may support the Verde Confederacy model. The chapter also explores the relationship between Perry Mesa rock art and Hopi clan symbols. The results of this analysis offer preliminary conclusions regarding the role of rock art across the cultural and physical landscape of Perry Mesa. Justin Rego’s article, ‘Gradiometry Survey and Magnetic Anomaly Testing of Castros de Neixón, Galicia, Spain,’ is in the latest Journal of Archaeological Science. During the summer of 2011, a geophysical survey with subsequent magnetic anomaly testing was conducted in Northwest Iberia, in the province of Galicia, Spain, the most extensive evaluation of its kind to be performed on a Castro Culture hill fort with distinct Bronze and Iron Age occupations. The investigation focused on determining the spatial extent, occupation, and use of the multicomponent Bronze and Iron Age hill fort site(s) of Castros de Neixón. 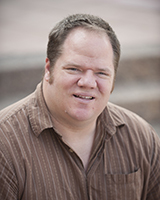 Justin is lead author on this paper, which he co-authored with Wendy H Cegielski, M.A., of Arizona State University. Cultural resources research on the archaeology of Central Arizona has focused mainly on the large settlements within Perry Mesa. Perry Mesa is a series of basalt-capped mesas and canyons along the Agua Fria River that resulted from the eruption of the shield volcano. This mesa-canyon complex covers an area of about 75 square miles and contains one of the most fascinating groups of ruins in Central Arizona. Beginning in 2006, as part of Logan Simpson-supported independent research, one of our senior archaeologists supervised a multiyear project of a previously unstudied prehistoric community that is undoubtedly part of the Perry Mesa system, which is located 10 miles east of Perry Mesa proper. Over this seven year period, a group of more than 20 volunteers, many of them Logan Simpson employees, surveyed and recorded over 150 prehistoric sites that are part of this unique community situated on the Tonto National Forest. As experienced consultants in the cultural resources management industry, Logan Simpson earns its bread and butter by helping our clients navigate federal laws designed to protect prehistoric and historic archaeological sites. But as full-time “compliance specialists,” we also tend to seek out the next exciting opportunity to conduct research that rises above and beyond the scope of our clients’ projects. 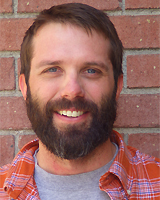 Recently, a cultural resources inventory of the entire Arizona Public Service Company (APS) transmission system in Arizona and northwest New Mexico presented Logan Simpson Design with such an opportunity. Our team of archaeologists was given the chance to survey transmission lines on and near the Hopi mesas, adjacent to the six contemporary pueblos and numerous abandoned pueblos that figure prominently in the history of Southwestern ethnography and archaeology. In the process, Logan Simpson archaeologists came across an exciting site that had not been investigated for decades: an ancestral Hopi coalmine and associated pottery-firing areas. In a land with few trees for firewood, ancestral Hopis used coal dug by hand from natural seams in the Mesaverde sandstone. Under and adjacent to the APS transmission line, our crew recorded coal-extraction areas—curious mounds filled with the beautiful fragments of Hopi Yellow Ware ceramic pots (yellow in color due to the extremely high firing temperature of coal as fuel)—and other artifacts that appeared to date from the late 1200s into at least the 1400s. Sound avoidance measures were of course provided to protect the site; the land manager (Navajo Nation) concurred with our protection measures, and the Section 106 process was complete. Logan Simpson Design environmental consultants are currently conducting a number of long-term, research-driven inventory projects for the Bureau of Land Management in Lincoln County, Nevada. As part of a sample archaeological inventory near Delamar Lake, LSD has developed a GIS predictive model to help identify high, medium, and low probability areas of cultural resources associated with the Terminal Pleistocene-Early Holocene (TPEH) transition period. Our GIS model focuses on several critical factors likely to influence site distribution during the TPEH transition period such asproximity to high-probability landforms (lakeshores, beaches, or indented shorelines); extinct marshes or deltas; and elevated surfaces near wetlands. Delamar Lake is situated within a Pleistocene pluvial lake bed and, like other nearby pluvial lake beds, is a high probability area for Paleoarchaic archaeological sites. 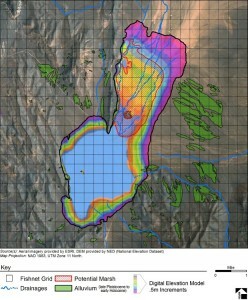 The now arid lake would likely have supported a marsh/riparian-type ecosystem during the TPEH. Throughout the process, our goal was to identify the TPEH, or Paleoarchaic, archaeological sites near Delamar Lake in order to establish baseline inventory data for locating TPEH-aged cultural resources in other pluvial lakebeds in Lincoln County. Unless you’ve stopped to read the plaque hanging by the building preserved through Section 106 at 1317 W. Jefferson Street in Downtown Phoenix, you’re probably unaware that this beautiful Queen Anne style home is truly a little piece of history. Headquarters of the Pioneer Cemetery Association, the building was designed and built in 1897 by renowned Phoenix architect James Creighton. Dr. Darius Purman and his wife Mary commissioned construction of the home and two adjacent homes within Block 46 of the Churchill Addition, an early subdivision platted by entrepreneur Clark Churchill in 1887. Though originally intended as a boarding house, the residence was purchased by Civil War veteran Trustrim Connell in 1903. Trustrim was a noted war hero, having won a Congressional Medal of Honor for capturing a Confederate flag just days before Lee’s surrender at Appomattox. He resided at the home with his wife Eliza, daughter and son-in-law Caroline and Charles Smurthwaite, and their child Carolann until his death in 1937. When the Smurthwaites divorced in 1937, Caroline and Carolann remained and operated an antique store out of the home until their deaths in 1971 and 1982. 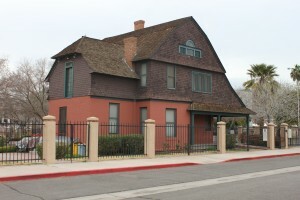 Following Carolann’s death, the home was willed to the Museum of Northern Arizona in Flagstaff, the Heard Museum, and the Phoenix Art Museum, who donated the property to the City of Phoenix. In 1992, the residence was moved 26 blocks west to its current location at the Pioneer and Military Memorial Park. Is there anything quite like deep sea fishing? Once that line is in the water, you’re never quite sure what you are going to pull up, assuming you even get a bite. Experienced fishermen have certain expectations when they go to sea; some fishing spots are better than others, one type of fish is much more common in one area of the ocean than another. I would be surprised if I pulled up say, a mermaid, but who knows? The ocean is a big place after all. The work of cultural resources is a little like deep sea fishing. We, as archaeologists, can’t be 100 percent sure about what is under the ground until we start digging. With the immense desert landscape in Arizona, cultural resources are sure to be present in various locations. In keeping with responsible environmental planning practices, archaeologists are regularly tasked with protecting culturally significant artifacts from damage that may result from modern development projects. However, we do have tools and techniques that we can put to work to greatly narrow our expectations about what might be present beneath the ground surface. One quick and effective tool is the Class I Cultural Resources Overview. In a Class I, an archaeologist will research a project area, whether it is the route of a proposed road project or a new development to determine if any archaeological sites have been located nearby. This includes the summary of any previous archaeological investigations. In some cases, more time intensive techniques, such as an archaeological survey, have already been implemented. Therefore, we can say with a high degree of certainty if cultural sites are in the area. In other cases, we can look at nearby sites, the general environment, and other resources, and assess the likelihood of cultural resources being present in the given project area. 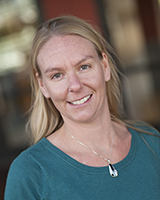 LSD Cultural Resources Director Kathryn Leonard, M.A., RPA, was appointed by the Phoenix City Council to the Phoenix Historic Preservation Commission. The nine-member commission maintains the Phoenix Historic Property Register and makes recommendations to the City Council and citizens regarding historic preservation. Members represent the fields of history, architecture, prehistoric and historic archaeology, and related disciplines. 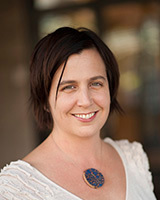 During her three year term, Kathryn will assist the city’s Preservation Officer in reviewing appeals on proposed alterations to historic properties, historic districts and archeological resources through the Certificate of Appropriateness process; and make funding recommendations for Historic Preservation Bond Funds. 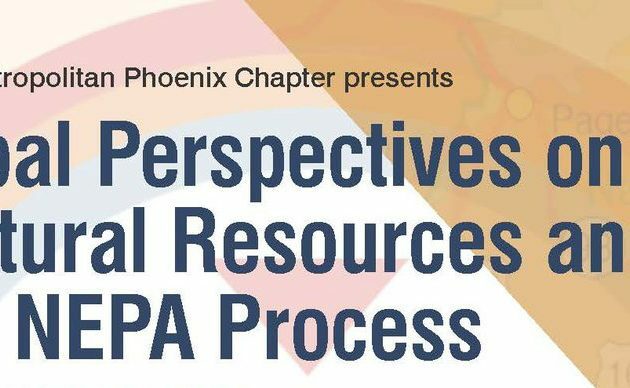 Kathryn, who resides in Phoenix’s Fairview Place Historic District, manages the cultural resources program at LSD and provides Section 106 of the NHPA support, including government-to-government consultation, for large, complex energy EIS projects. In this article, we will analyze how the National Register Bulletin 38 affects evaluations of visual resources in the assessment of cultural resources – specifically, properties the National Register has defined as Traditional Cultural Property.